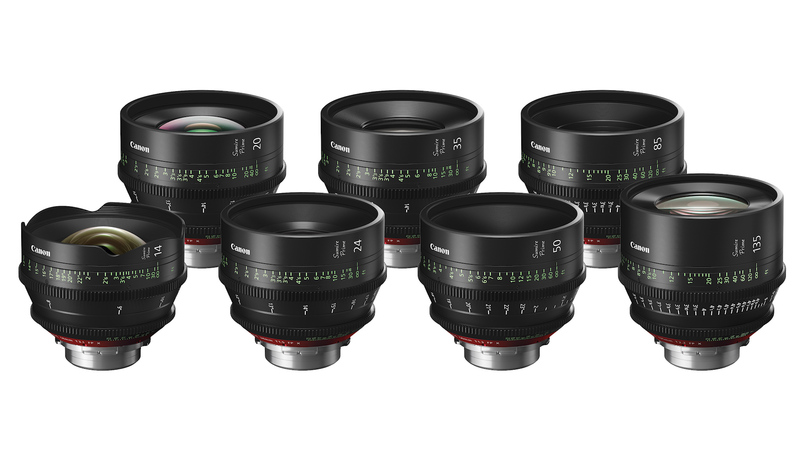 Canon just announced the release of Sumire – a new series of seven PL mount cinema prime lenses. Canon just announced a new series of prime lenses and we were lucky enough to put our hands on the Sumire 35mm T1.5, the first lens of the batch that was available for testing. By the way, if you’ve been wondering what the name Sumire (菫, すみれ, スミレ) means, then look no farther, it is a feminine Japanese given name and the name of a delicate flower. 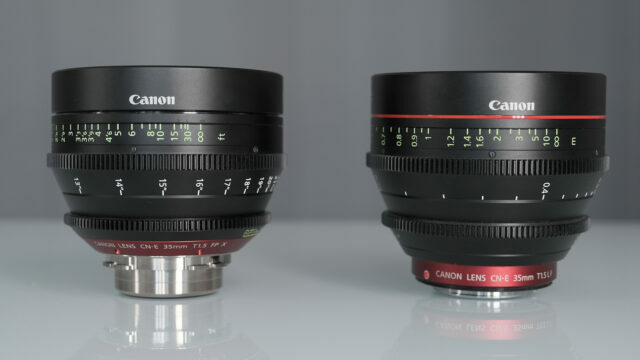 Canon already has a set of (EF mount) Cinema Lenses, but obviously they were looking into giving DoPs something extra on top of delivering cinema lenses with a new PL mount. Something that can bring an even more unique feel and look into a creative production. Their new offering will come with an interchangeable PL mount first and we were told that modification to EF mount (and back to PL) can be done by Canon Service & Repair Centre or Authorised Service Partner. 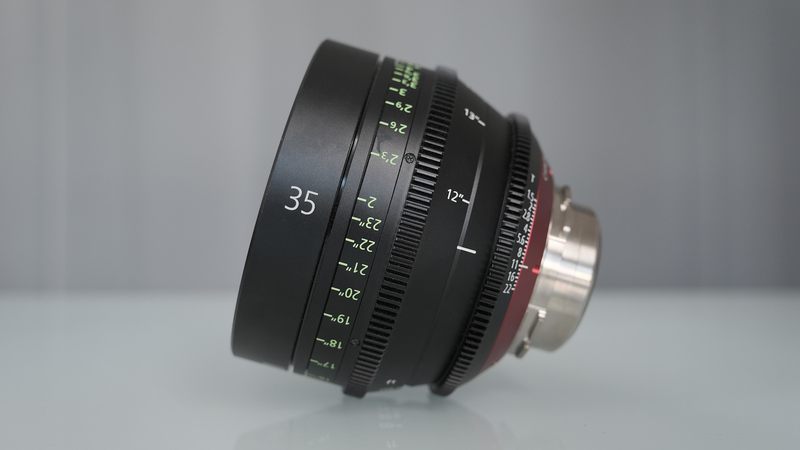 Like their original series of Cinema Prime lenses, Canon kept the Sumire with having a fast T stop values. Sumire will be compatible with any PL mount cinema cameras equipped with either a 35mm full-frame format sensor or a Super 35mm format sensor, including selective Cinema EOS cameras like the EOS C700 FF camera. 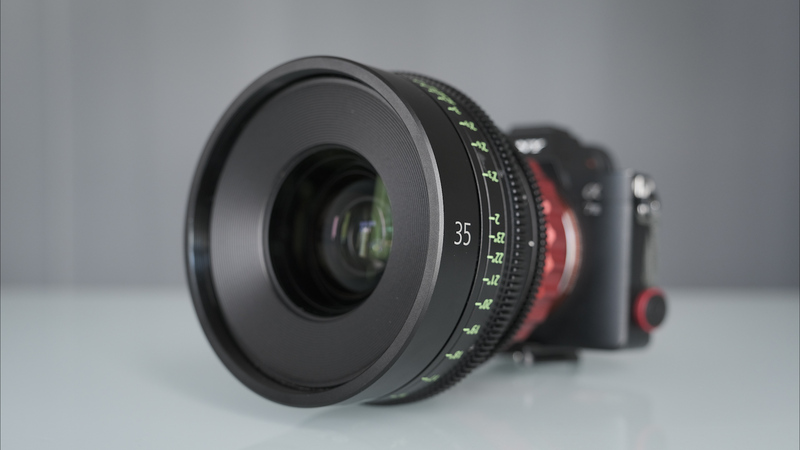 Supporting an 11-blade iris ensures round and soft bokeh. All the lenses feature manual control and adopt the 0.8 pitch lens gears for both iris and focus rings. 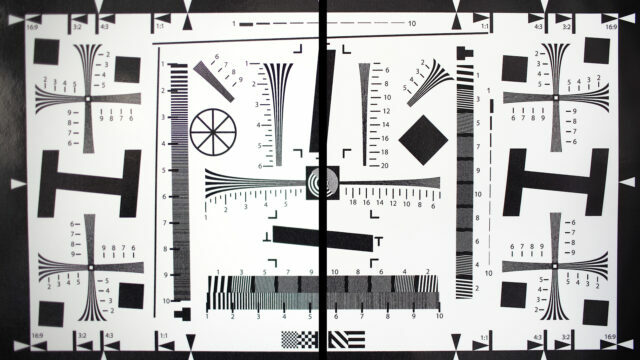 In addition to this, the lenses have the same front diameter (114mm) which also support 105mm screw-on filters. Focus adjustments can be made over a 300-degree rotation angle. For the last few days I have been using the new lens on a Sony a7 III fitted with a Vocas Sony E to PL mount adapter. 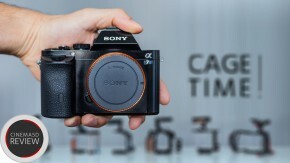 (Unfortunately we didn’t have a chance to stay within the Canon ecosystem and test it on a C700 FF, which would have been ideal, but we needed to stay small – and only the Sony E-Mount allows for adapting PL easily, not EF cameras). The new lens is very sharp across the entire image, BUT, when aperture is wide open there is a noticeable loss of sharpness especially at the corners. Stopping down a bit might be a safer bet. Breathing is really kept to a minimum. As Canon stated on their official press release, I can confirm that the image has a warm feeling to it. To my personal taste, it can be a bit too warm at times but it’s not an issue if you are manipulating your image in post anyway. What really sets the new lens apart from the original CN-E is the way flares and light halo are handled. Again, in my personal taste, flares tend to be a bit on the “wild side”, and this is something that has to be taken into consideration when on location. I’m very curious to see how other DoPs will react to that, but the lens certainly has a special “character” that many people are looking for. Chromatic aberration is certainly visible. The illuminated distance scale very welcomed and speaking of which, the lens minimum focus distance is reasonable at 28.5 cm (12ft). Should be straightforward to see all the markings in the dark. As I wrote above, flares are much more noticeable with the Sumire. (At times, and depending on the amount of lights entering your lens, the light halo effect can be strong). In regards to chromatic aberration, what really puzzled me is the fact that I could not come up with a concrete answer to which of the lenses have a stronger fringing. At times, the Sumire exhibited strong fringing and then on the next comparison shot it was the original CN-E 35mm lens that exhibited a noticeable chromatic aberration. When it comes to Bokeh, to my opinion both lenses show nice soft aesthetic blur mostly due to the usage of 11 blades which help keeping the aperture almost perfectly circular. We have to thank our dear friend and colleague Alexander Boboschweski for loaning us his original CN-E 35mm T1.5 lens for the comparison! Canon will start rolling out those new lenses shortly and one can expect to pay around $7400 per Sumire lens. While the price tag for many of the “original” CN-E lenses is around $4000, it is clear that Canon is targeting rental houses and not end users. I applaud Canon for developing and delivering a lens which tries to be as sharp as possible yet has a very strong identity. When it comes to picture aesthetics, some will love the outcome while for others flare and general “light blooming” might be a bit too strong. 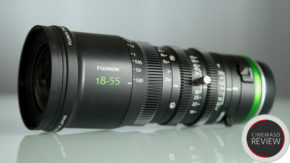 I like the fact that the new lens is relatively compact, robust and its operation is very smooth. Its current price point means that it will be reachable for some via rental houses. If you are a Canon CN-E user, I do recommend testing the Sumire before choosing it over the original CN-E lenses. If you do so, please share with us your findings. I’ll be very curious to hear your thoughts. The music used in the video above is courtesy of Music Vine. Get 25% off your next music license with code C5D25 (valid for one use per customer). Have you worked with any of Canon’s CN-E Cinema Prime lenses before? How did you like the image and are you interested in trying the new Sumire lenses? Please share with us your thoughts in the comment section below. At 1.32 it looked like you stopped down on the CN-E prime. 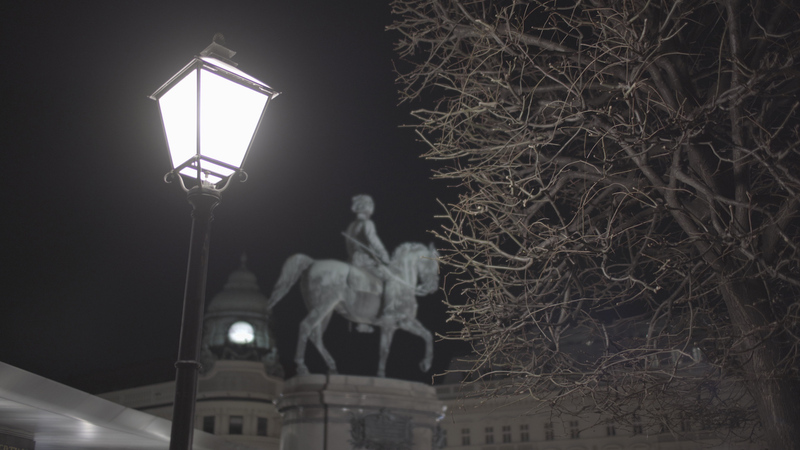 Are you sure there is no exposure difference in the two frames? Because if the halo lighting effect (sumire) is that considerable, then that’s a huge difference, and pretty cool. I noticed that. There seems to be a major exposure difference there. I really don’t like the halos; it looks like the lens is fogged. Yeah i came to comment that too, I’m pretty sure that’s the case because both lenses series look very similar to me on the other shots.